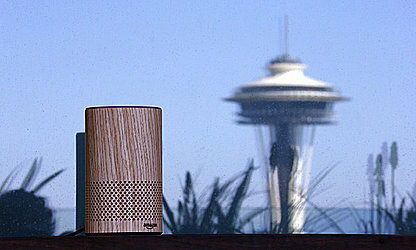 NEW YORK (AP) — Revelations that an Amazon Echo smart speaker inadvertently sent a family's private conversation to an acquaintance highlights some unexpected risks of new voice-enabled technologies. According to Amazon, the fault was an "unlikely" series of inadvertent vocal cues that triggered the speaker, caused it to begin recording and then led it to interpret subsequent conversation as a "send message" request. — BLOCK THE SIGNALS: For smartphones and other gadgets you carry with you, a "Faraday bag" that blocks electromagnetic waves can help prevent unwanted spying. The good ones will block cellular and other signals, meaning privacy-compromising information such as your location won't leak out either. Just remember, your phone won't get any calls while it's in the bag — that's the whole point.